Like most states, New York follows the “Prior Vicious Propensities” Rule in dog bites cases. The topic that we review this month actually applies to a bite or injury caused by any type of domestic animal, but for obvious reasons it is most applied to dog bite cases. In order to successfully sue a dog owner for injuries caused by a dog – it doesn’t necessarily have to be a bite – one must prove that the owner knew or should have known that the animal had prior vicious propensities. New York does not recognize a cause of action for negligence for injuries caused by a dog or by any other animal. That means that the owner of an unleashed dog would not be responsible for injuries caused by that dog, even if the dog was unleashed in violation of a local ordinance, unless the owner had reason to know of a dog’s prior vicious propensities. As another example, an owner playing “fetch” with a dog would not be responsible for a dog knocking down someone if the owner had no reason to know of the dog’s vicious nature. The question then, is how does an attorney prove that a client’s injuries were caused by a dog whose owner knew that that dog had prior vicious propensities. 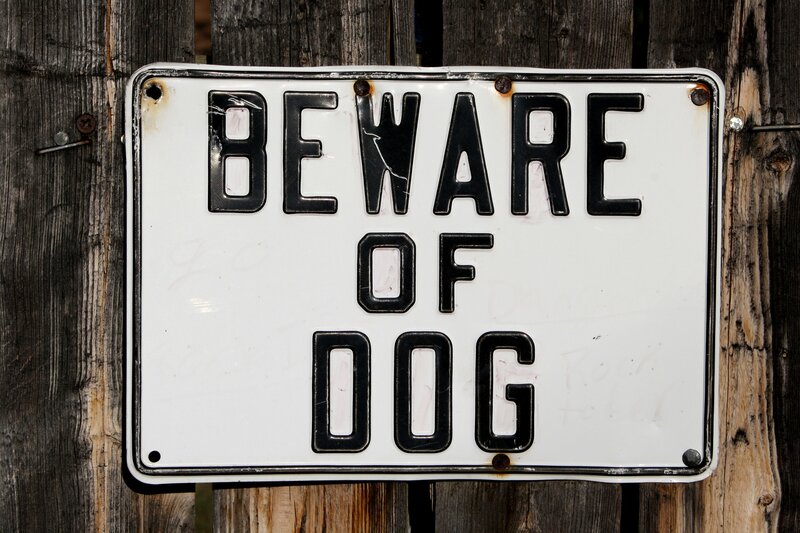 Such proof includes evidence that the dog had an aggressive nature; that it would growl, or bare its teeth; that the owner would restrain the dog when guests came into the house or onto the property; or the presence of a “Beware of Dog” sign. Other items of proof would be evidence of a prior bite or other attack, or fighting with or chasing other dogs. You may have heard of the “One Free Bite Rule” – that since a dog owner cannot be held liable unless there was prior knowledge of a dog’s vicious nature, every dog was in essence entitled to one free bite – but that rule has been modified by most states to fit the rule currently in effect in New York. While one might logically believe that a specific breed is vicious by definition – a Rottweiler, Pit Bull, Doberman, or German Shephard, for instance – New York Courts have ruled to the contrary. Therefore, one must still prove prior vicious propensities regardless of the type of dog involved. In a very recent case, (Gammon v. Curley, Second Department, 2/1/17) a New York Appellate Court found that a dog’s owners were not responsible for injuries caused when their dog ran at someone at full speed, jumped up on its hind legs, and made contact with the upper part of the victim’s chest, causing her to fall backwards to the ground. The Court said that vicious propensities could include a dog’s tendency to attack someone even playfully and enthusiastically. In this case however, the victim was unable to prove such prior behavior. For their own part, the owners argued that while the dog did jump on others, such instances were limited to immediate family members, and only on command. There was also proof that the dog had never jumped on anyone outside the immediate family. Fortunately, liability for a dog bite can also be established against a non-owner of a dog if that person “harbored” the dog. There must be sufficient evidence that the non-owner participated in the dog’s care in order to make such a finding. Such proof can include evidence that one fed the dog, or took it to the vet; or evidence that one walked a dog, let it out, cleaned up after the dog, or put the dog in its cage. Proof of prior vicious propensities is still required, but if one harbors a dog known to be vicious, that person can be responsible for an injury even if he was not the dog’s owner. Damages paid as the result of a dog bite or attack are typically paid from a homeowner’s or renter’s insurance policy. Similar to any other personal injury matter, a victim of an animal bite can collect damages for past and future pain and suffering, unreimbursed medical bills, and lost wages. It is to your advantage if you can identify the dog owner’s carrier if you are the victim of an animal attack, in order to afford prompt notice to the insurance company that you are going to make a claim. The White Plains Injury attorneys at Worby Vecchio Edelman have years of experience in this complicated area of the law. Call us if you are the unfortunate victim of an injury caused by an animal. We’ll answer all of your questions, and investigate to determine the facts necessary to prove your case. We treat our clients with the utmost respect, so you’ll feel comfortable working with us. We offer a free consultation, and we work on contingency, so we only get paid if we recover money on your case. There’s no obligation to you, and no cost to retain us.